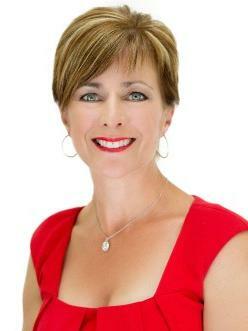 Sandra relocated to Highlands Ranch, Colorado from the United Kingdom in 1999 after a career with British Airways. Learning from the relocation process herself, Sandra has helped many international and domestic buyers, moving to the Denver Metro area since 2003. Committed to building relationships with buyers and sellers, Sandra works tenaciously to ensure the buying and selling process is as stress free as possible. Communication is one essential aspect of a transaction and therefore something that is very high on Sandra's priority list. Sandra is caring, approachable, professional, reliable, trustworthy and has a passion for helping clients throughout the buying and selling process and beyond. Sandra's husband, Lee, lost his eyesight in 2010 to a degenerative eye disease and since then, they have been actively involved with fundraising for the Foundation Fighting Blindness and their local community in Highlands Ranch. Sandra is a proud member of the National Association of Realtors, the South Metro Board of Realtors, recipient of the Diamond Circle Award for performance for 2013 through 2017 and a Graduate, Realtor Institute(GRI). Bought and sold a Townhouse home in 2018 for approximately $250K in Rocky Ridge, Aurora, CO.
We have worked with Sandra twice now and would do so again in a heartbeat! She is extremely professional and knowledgable. She made sure we were on track and understood everything every step of the way. She communicates very well and is up front and honest, which is exactly what you want in a realtor. I couldnât recommend her more! Sold a Single Family home in 2018 for approximately $650K in Highlands Ranch, CO.
Sandra was exceptionally attentive and personal. Always kept us informed as to what was going on with good guidance and recommendations for solving issues with the process from start to finish. Would not hesitate to recommend her services to any thinking of buying or selling a home. Sold a Single Family home in 2018 for approximately $725K in Highlands Ranch, CO.
Where do I begin! Sandra Shayler sold us our house here in Colorado and because she did such an amazing job, naturally we chose her again to sell our home. She is friendly, kind, proactive and gets the job done. Best realtor EVER! If you are looking to buy or sell a home, my husband and I HIGHLY recommend her. Trust me, you will not be disappointed. She will make sure to dot all the I's and cross all the T's. She has also become a wonderful friend to us over the past three and half years that we have known her! Thank you, Sandra, for making the sale of our home so smooth and simple! We will truly miss you when we leave this beautiful state! Bought a Single Family home in 2018 for approximately $500K in Highlands Ranch, CO.
Sandra is absolutely the best Realtor I have ever worked with. She is very responsive -- I always felt like I was her number 1 priority. She is also great at communication and follow through. Sandra kept on top of all the details (large and small) and kept me informed every step of the way. Her communication and responsiveness are enough to warrant a glowing review, but Sandra also knows the market. She could speak knowledgeably about the area, showing me where shops, schools and rec centers were. That knowledge of the market also paid off for us when it came time to make an offer on a house. She was able to make recommendations for our offer that helped us find the perfect balance â we came out on top in a multiple bidder situation, but I still didnât feel like I gave away the farm. I heartily recommend Sandra for buying or selling a home! Bought a Single Family home in 2018 for approximately $550K in Castle Rock, CO.
Sandra was amazing! Sandra was very professional and helped us find a beautiful home in this crazy Denver sellers market. She made us feel like we were her only clients and was very flexible with a last minute requests to go see homes. We would definitely work with Sandra again and refer her to friends and family! Bought and sold a Condo home in 2018 in Highlands Ranch, CO.
Sandra was amazing from the minute we decided to work with her. She is extremely knowledgeable in all aspects of buying and selling real estate and has a wealth of local knowledge. She gave us great advise on getting our house ready to list, so much so we had a contract the very next morning. She took the time to thoroughly read through the contracts with us on both buying and selling. With her excellent negotiation skills we went under contract very quickly (in a very competitive market) on a new property. Sandra has a vast list of contacts including designers, inspectors, painters, plumbers and everything in between. Sandra was there every step of the way, always quick to return calls and making herself available to us whenever needed. She made the process painless and smooth. Thank you so much Sandra! Sold a Single Family home in 2018 for approximately $450K in Stroh Ranch, Parker, CO.
Sandra was very knowledgable with the market and our house sold after being on the market only two days! Her attention to detail and professionalism were top notch. Sandra is by far the BEST agent we have EVER worked with and we have already recommended her to several of our close friends. We trusted Sandra and we are so happy we did! Sold a Condo home in 2017 for approximately $150K in Castle Rock, CO.
Sold a Single Family home in 2017 for approximately $375K in Highlands Ranch, CO.